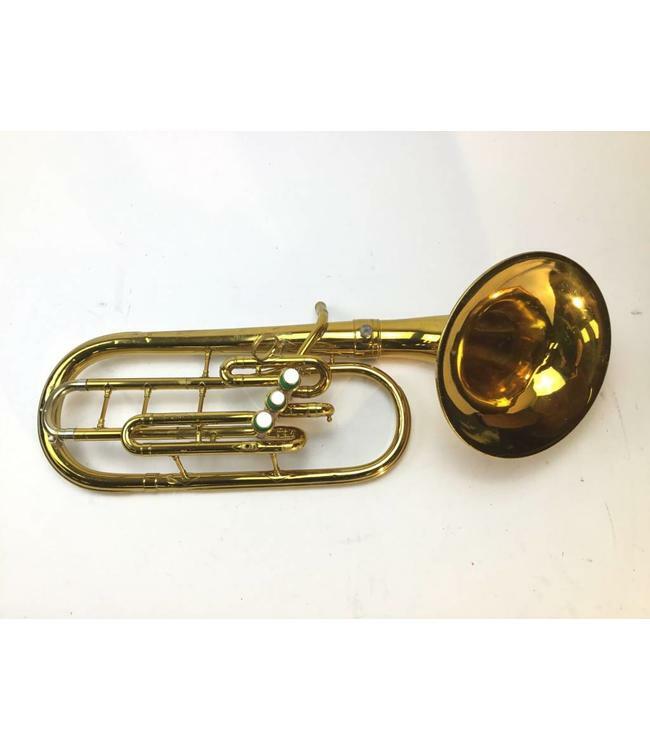 Used King Eb Peck Horn with detachable front facing bell in Lacquer. Instrument is in good condition. It does have have minor surface scratches and minor dings in the bottom bow. Instrument appears to be set up for Eb and F but the bottom tuning slide has been replaced with a trumpet tuning slide, which only allows it to play in Eb. Comes with original case.